Lemon is an citrus fruit to include in your diet with all its many health benefits. 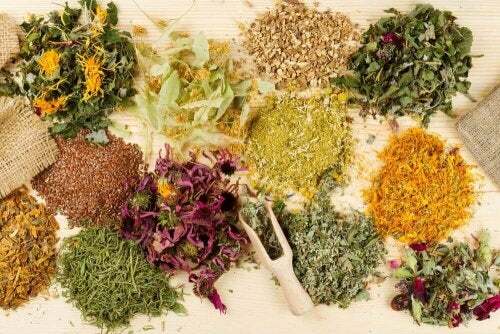 What you might not know is that it also has a ton of uses in the home! Did you think that this citrus fruit only worked as an ingredient in the kitchen? 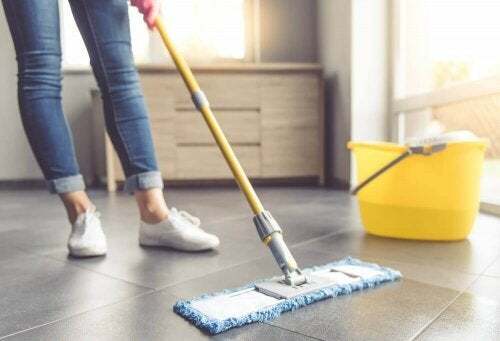 Well, the truth is that many housewives in the past (like our mothers or grandmothers) also used it for cleaning purposes. Read on to find out more about how to clean your home with lemon juice. Lemon has great properties for eliminating germs on almost any surface in the kitchen, bathroom, living room, and bedroom. For example, you can use lemon juice to clean the utensils you eat and prepare your meals with. But the best part of all is that you’re not using chemicals that can damage your health and the environment. So don’t wait, try out these homemade recipes to clean your home with lemon juice and you won’t regret it! 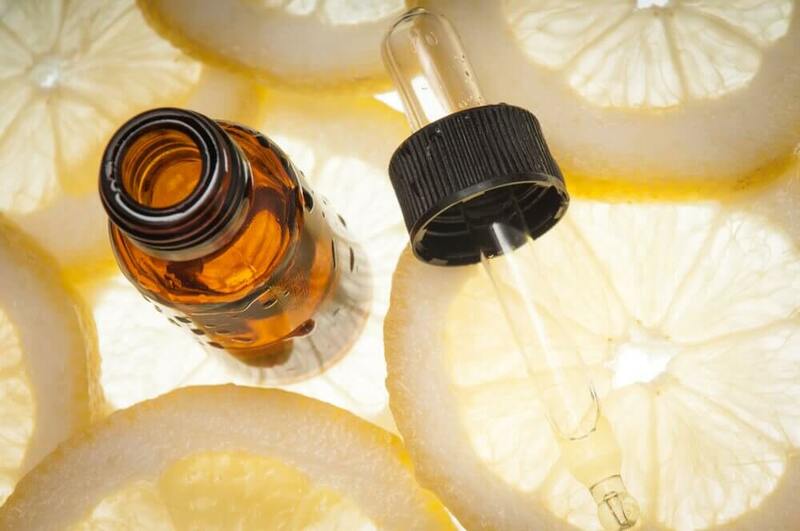 Lemon is extremely versatile and can eliminate both bad odor and bacteria. There are endless ways you can use it as a cleaning product. Here are some of them. Combine half a lemon with salt to clean old bronze and copper antiques or things like pots or decorations. Lemon can also clean the spots and stains off of cutting boards and eliminates the germs left behind by raw meat. All you have to do is rub half of a lemon on it, allow it to sit overnight, and clean it off the next morning. You can do the same thing with your grill or barbecue. 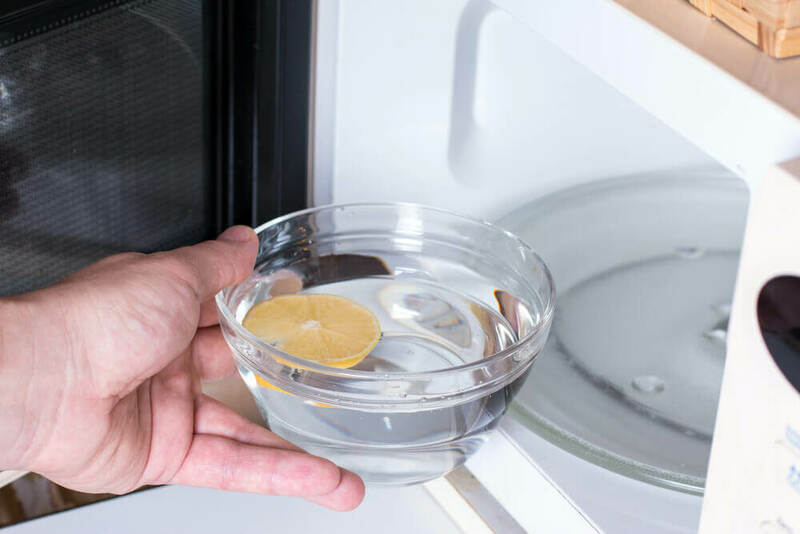 Get rid of odors in the microwave by putting 3/4 cup of water and a few teaspoons of lemon juice in the microwave and heating it until it boils. Don’t open the microwave door for 10 minutes, then wipe away residue with a dry cloth. Eliminate spots and odors from plastic containers with tops. Soak them in water with lemon juice and add baking soda, rub, rinse, and dry well. If your polyester or cotton clothing gets stained by rust, lemon juice will also get rid of the stain. 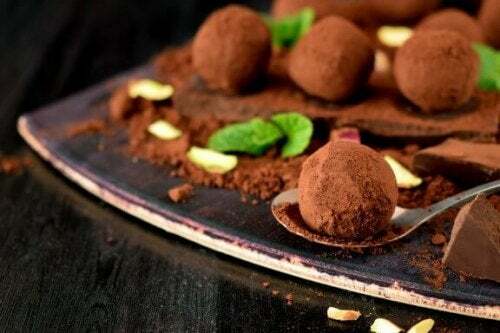 Make a paste with the lemon juice and add cream of tartar. Rub this paste on the stain and allow it to set for thirty minutes. Wash as usual. Disinfect the garbage disposal or the trash bin. Pour one liter of hot water with half of a cup of lemon juice into the garbage disposal or in the trash can. This mixture also helps to unclog pipes if mixed with baking soda. 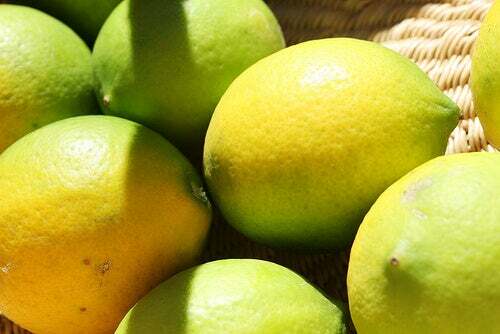 Eliminate odors in the refrigerator by putting half a lemon inside and switching it once per week. This also helps to take remove the odor stuck to your hands after preparing foods like fish. Dilute warm water with lemon juice and sink your hands into it for several minutes. You can also rub lemon juice on clothing with oil or fat stains and let it set overnight to help get rid of them. You can keep mirrors and windows shiny by mixing several tablespoons of lemon juice and water in a blender. But vinegar is also an option. If you’ve bought new earrings, you can disinfect them by placing them in a container with lemon juice for several hours. Soap residue and scum accumulate on shower doors. Eliminate them with half a lemon by rubbing it on the shower doors and walls before cleaning. You can also eliminate built-up minerals in your kettle, teapot, or coffee maker with lemon juice. Place a few slices of lemon in them and add water. Let soak for two hours, rinse, and dry. To get your whites to really shine, add half of a cup of lemon juice to your laundry loads along with detergent and softener. You can also clean your oven by mixing lemon with baking soda. Rub it onto the inside of your oven and let sit for about 15 minutes. Clean it off with a clean cloth. This is also a good way to clean the toilet and bathroom sink. You can give wooden furniture can have an exceptional shine if you mix mineral oil with one tablespoon of lemon in a spray bottle. Apply with a soft cloth. 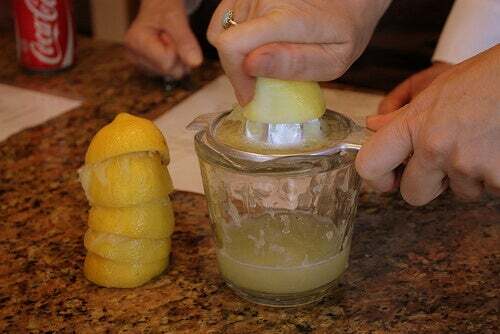 This is another great way you can clean your home with lemon juice. It’s a simple, cheap, environmentally friendly treatment. Start by juicing one lemon and pouring it through a fine colander to get rid of the pulp and seeds. Next, dampen a cotton cloth with the juice and use it to clean the water taps in the bathroom, bathtub, kitchen, and washing machine. This also a great way to clean lime deposits and spots. Allow this mixture to sit on these surfaces for about 10 minutes and then remove the juice with warm water or a moist cloth. If the water in your house is very hard, you can also add a bit of vinegar for better results. At the same time, you can do “deep cleaning” by rubbing half of a lemon directly on to the taps and cleaning them later with a wet cloth. 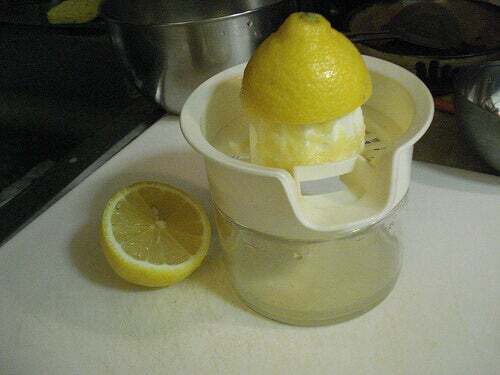 This is the last way to clean your home with lemon juice that we have for today. If there’s fungus or mold growing in your closet, you can use lemon to get rid of it. Lemon juice is a natural air freshener that helps to get rid of the problem at its root and improve your health at the same time. 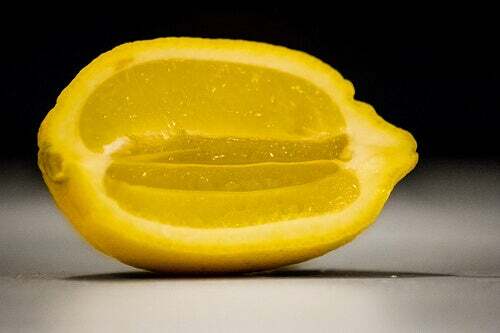 Cut two lemons in half, extract the juice, and put it into a spray bottle. Add equal parts water and mix well. 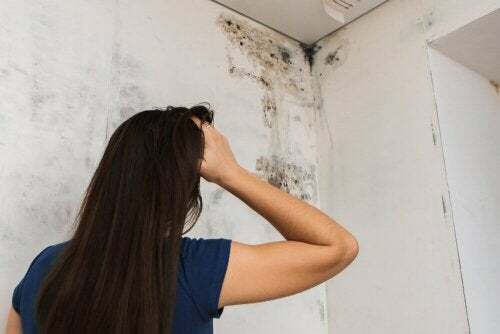 Spray into an area of your closet that has mold. You don’t have to soak it, just moisten it a bit. Let it work for several hours. Also, if the odor remains, just repeat the procedure. So, what are you waiting for? Toss out those nasty chemical products and clean your home with lemon juice! Images courtesy of Kirsten Loza, Essie, Leslie Seaton, debaird, Thomas Rousing, Amy Stephenson.